The first one doesn't really make much sense. 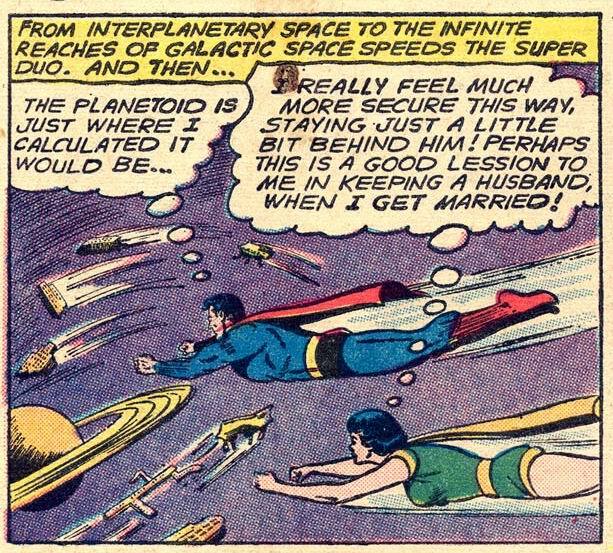 See, the super-powered Lois Lane of the future (the gal flying alongside Superman) had been racing him, but she began going faster than he was and because she didn't know how to stop she threatened to circle the universe forever. 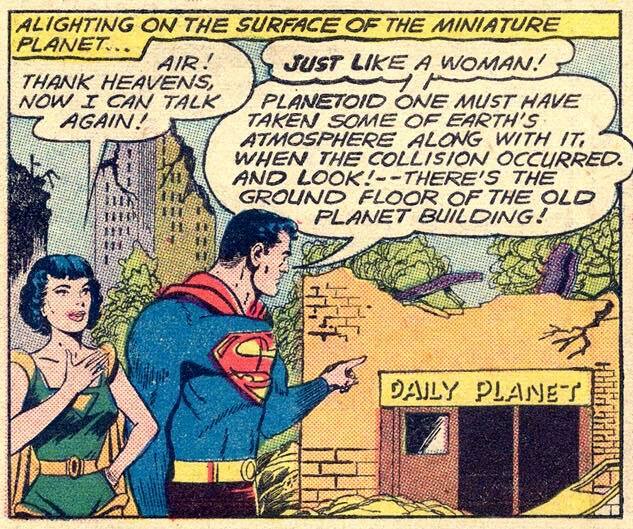 Fortunately, Superman quickly created a small planet from some nearby asteroids and its gravity slowed her down. So what does that have to do with keeping a husband? Of course, in some societies it is considered traditional for the woman to walk a few paces behind her man, but obviously that was not the case in the USA in 1961, when this story was published. 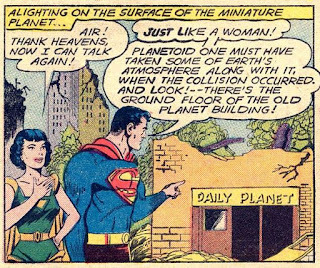 The second one comes after they land on Planetoid One, which had hit the Earth years earlier, destroying Metropolis and carrying much of the city off with it. Perhaps the oddest thing about Superman's unkind observation is that only moments before, he had been lamenting the fact that he couldn't talk in space to tell future Lois how to slow down. GCD tentatively credits this story to Jerry Siegel.